You can think of your next big project like a crossfit class minus the sweat (maybe). After all, crossfit and IT Project Management share a lot of the same principals. Both require focus, stamina, teamwork, speed and knowledge for success. 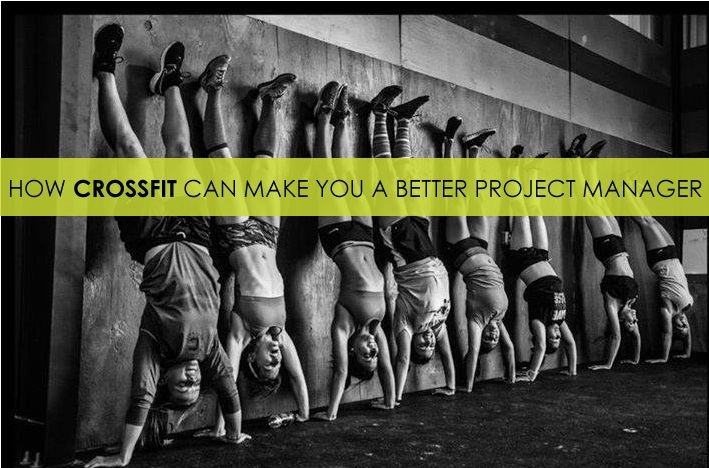 Check out the following list of six ways crossfit can make you a better IT Project Manager. 1. Weight Loss- One of the more obvious benefits of crossfit is that it gets you into shape. Eliminating unwanted, excess weight while focusing on the important things, like strength and speed is what crossfit is all about. Trimming out unnecessary code, processes, and tasks to make the project leaner and allow for a better result in the end is a standard practice of project management also. Thinking of it as weight loss is a quick way to give clients or team members a better understanding of what your job is. 2. Quality- Building muscle is a huge goal of crossfit, and is obtained throughout general exercise and focused weight training. While it is a direct result of the crossfit experience as a whole, it is a focus of each individual throughout the training process. Think of your sprints as muscles, and focus throughout the project to build their strength through quality work. This will improve the quality of the whole project in the end. 3. Teamwork- Crossfit is built around a community culture. No one is in it on their own and everyone respects one another. For project managers, your team will bring a variety of different skills to the table, it is important to remember to be respectful of everyone’s abilities and make your team stronger by using a community approach to culture. 4. Speed- In crossfit, speed happens when the other areas are optimized. Many times in crossfit, you are rewarded for speed. The stronger, more balanced, and coordinated a person is, the faster they are likely to be. This theory can be used to better understand the need for speed in project management. When the team is working together, goals are known, the right information is being processed the project comes together faster. When your team knows speed to market is a big goal, they will tighten up to meet it. 5. Competition- The secret draw of crossfit is its competitive nature. Whether crossfitters are competing against themselves or others in their class, it is the desire to be the best that keeps them coming back. Start keeping a scorecard for your projects and strive to do things a little better each time and your projects will get better and better. A little friendly competition is a great motivator for your team as well. 6. Education- Crossfit is seen by participants as very fulfilling for many reasons, one of them being the education they take away from it. They learn about their own bodies but also about nutrition, making them more aware of how to maximize their health and fitness overall. Project managers can take a note from this and make sure their team understands their individual tasks, but also the project as a whole. This will allow for a greater understanding of the project goals and could lead to some new insights for solving problems that hadn’t occurred to you before. Looking for your next Project Manager gig? Check out our current openings.